I set up a tabletop studio in our living room, which has amazing window light, to shoot a few projects. Now my wife is using the setup to shoot her collection of feather hats from the 1940s and 1950s. 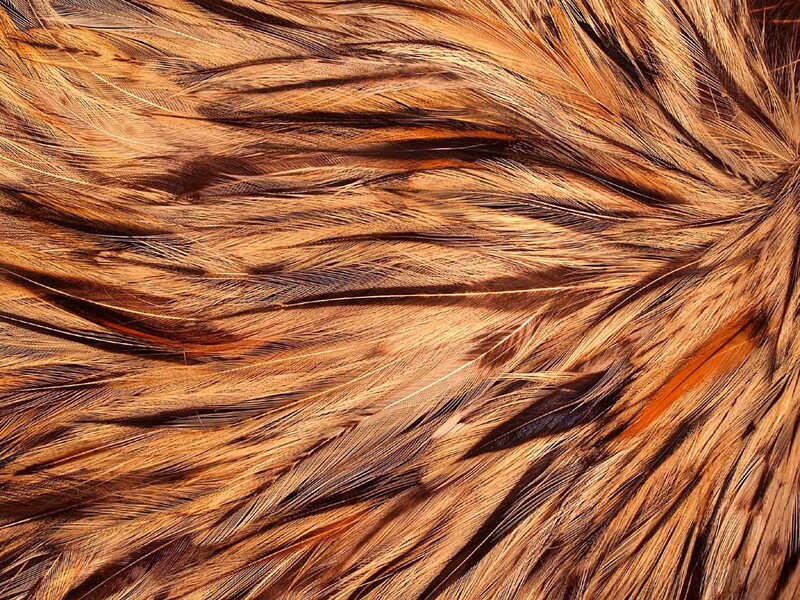 There must have been a massive global market for bird pelts at that time. 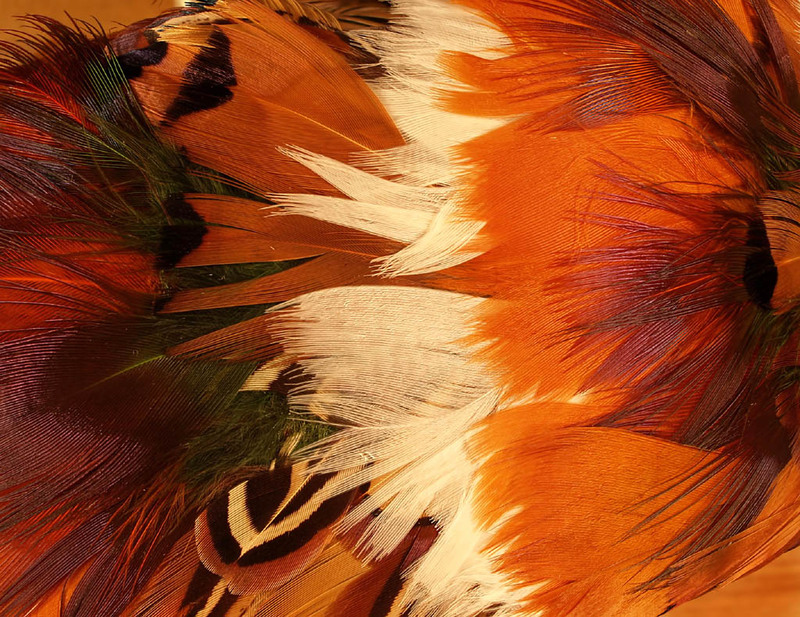 The craftsmanship of the milliners is amazing. The bird hat craze drove many bird species to near extinction back in the early 1900s. 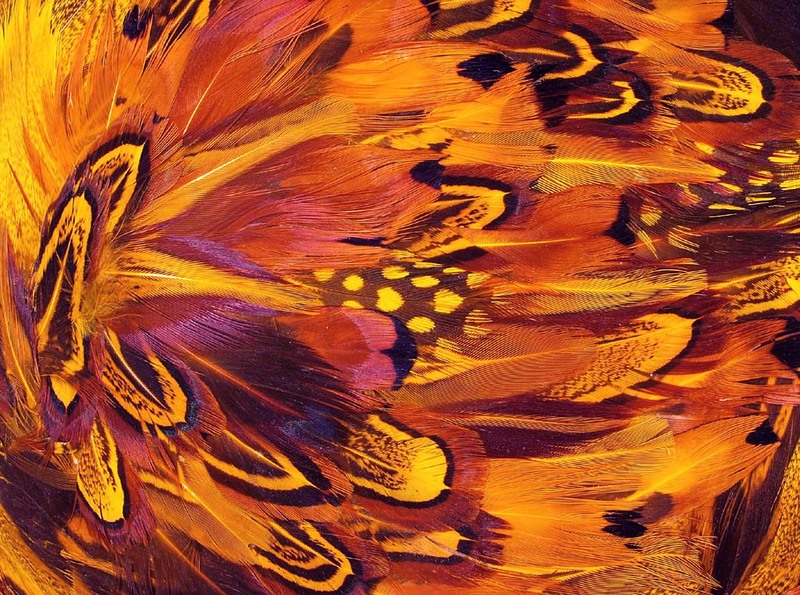 It was one of the reasons for the founding of the Audubon Society. 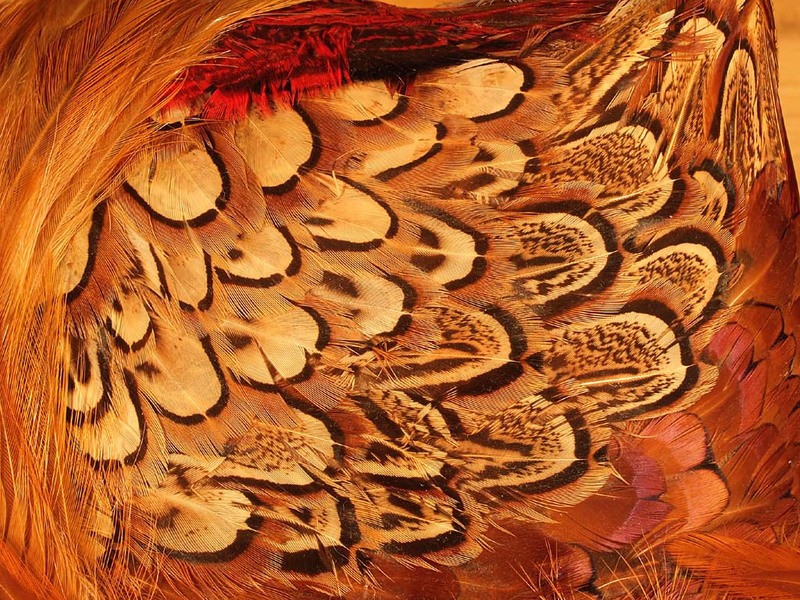 The feathers in your wife's hats look like domestic pheasant and partridge plumes, which would probably have been captive-bred. 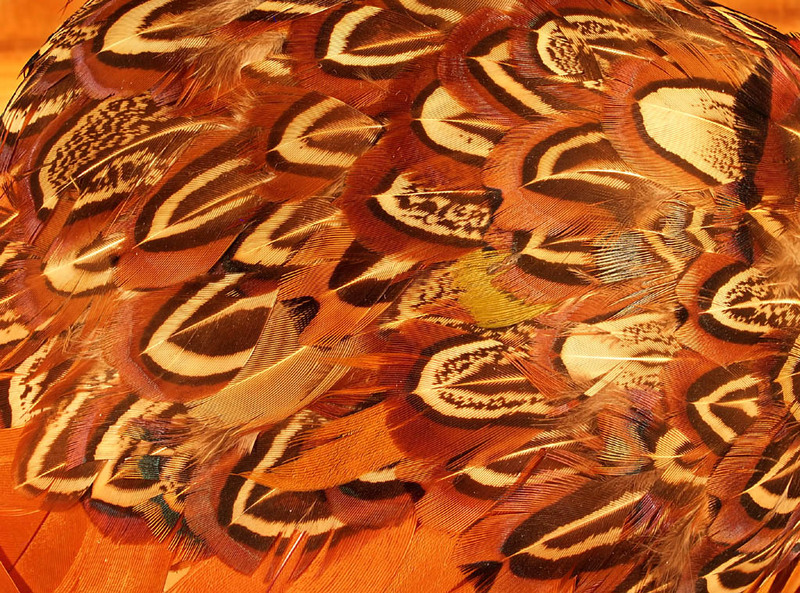 The feathers in your wife's hats look like domestic pheasant and partridge plumes, which would probably have been captive-bred. I used to tie a lot but then my asthma and allergies got me and I had to sell everything I had. 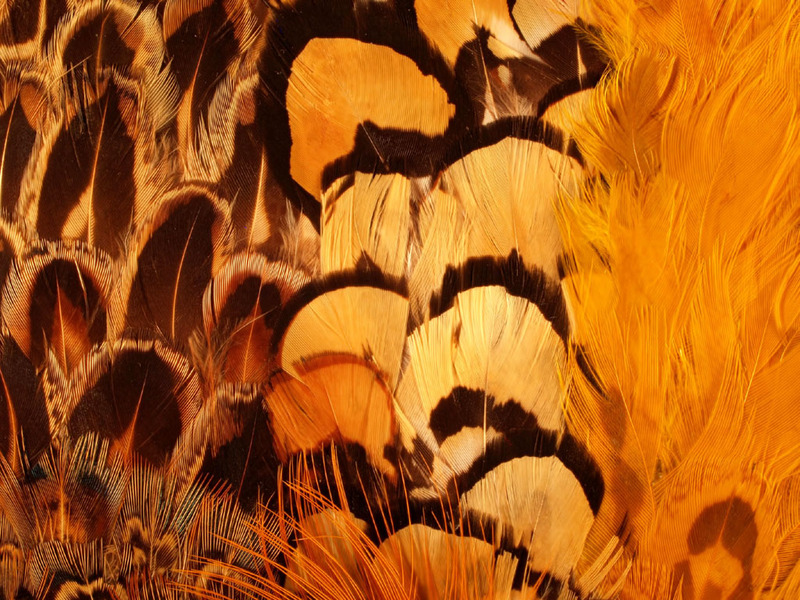 I have handled hundreds of bird skins, wings, tails etc. and I can say that when you find the first little sign of pests in your collection...it's gonna be hard. I said "pheasant or partridge", which means I wasn't sure about some of them. I am sure you are right about the additional species you mentioned. The main point is that these seem like almost entirely domesticated birds. Olympusman, the color balance seems wrongly set. Too warm. 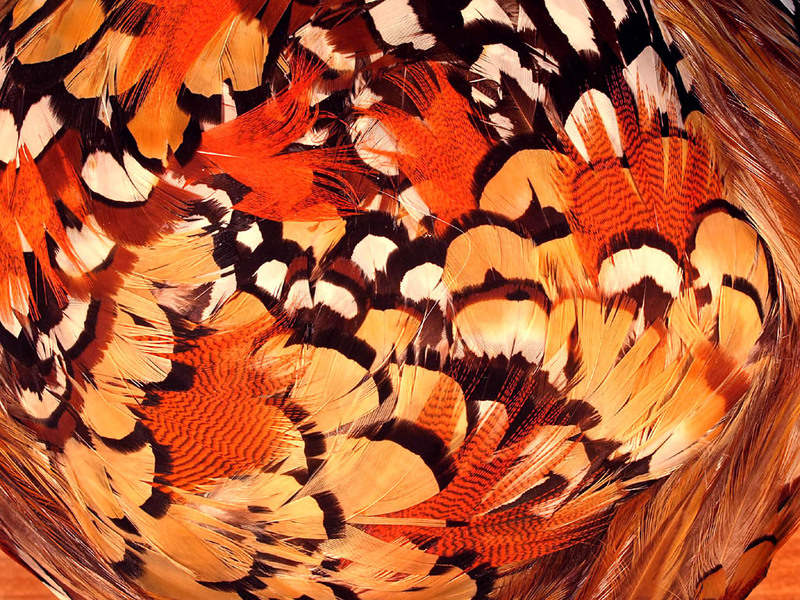 Many parts of those feathers should be white but appear orange-ish, at least on my monitors, in Firefox. I said "pheasant or partridge", which means I wasn't sure about some of them. I apologize, I was reading too literally. Good thing is they are mostly domesticated, 'cause the whole bird was used, very little was left over. Thanks, everyone. I'm not an ornithologist, but I spotted many pheasant, prarie chicken and guinea hen. 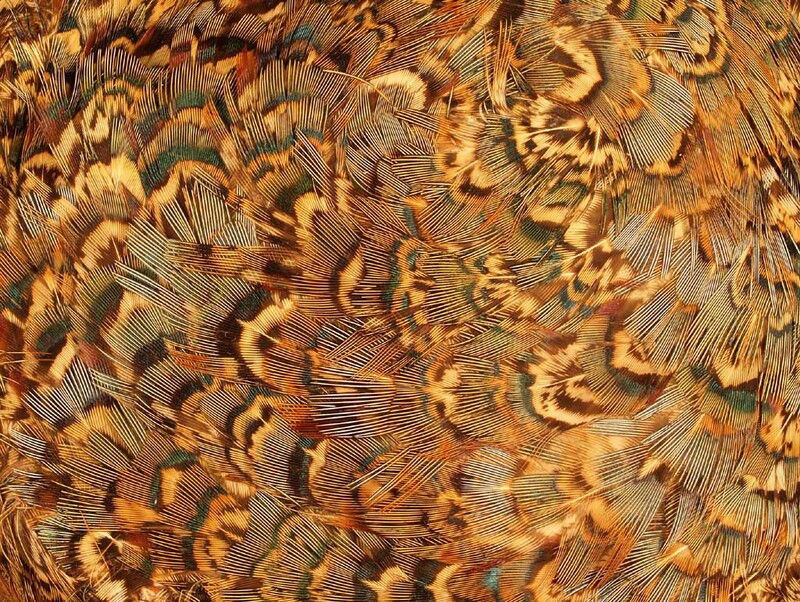 Many of the hats in the collection appear to feature chicken feathers dyed to various hues. I printed one of these to 13X19 and was blown away. 35mm Macro Olympus Four Thirds lens at f14 and stacked in Zerene Stacker.